Maura McKelvey defends mortgage servicers, lenders, and trustees of securitized mortgage trusts in matters alleging predatory lending, mortgage fraud, violation of consumer protection statutes, and challenges to mortgage holders' right to foreclose. When faced with claims asserting violations of the Truth in Lending Act (TILA), Real Estate Settlement Procedures Act (RESPA), Home Affordable Modification Program (HAMP), and the Fair Debt Collection Practices Act (FDCPA), Maura's clients rely on her deep industry knowledge and experience to resolve their conflicts efficiently. Another facet of Maura's practice includes representing lenders, servicers and their agents and vendors in claims arising out of contested foreclosures and evictions in Massachusetts and Rhode Island state courts. She also assists clients in title and lien disputes. In addition to advocating for clients in state and federal courts, Maura has defended broker dealers and registered representatives in securities arbitrations before the Financial Industry Regulatory Authority (FINRA). Over the course of her career, she has handled more than 25 sales practices arbitrations, defending a broad array of claims for these clients, including suitability, misrepresentation, unauthorized trading, failure to supervise and violations of state and federal securities statutes. Since joining Hinshaw in July 2005 to open the firm's Boston office, Maura has played an active role in the firm's management. 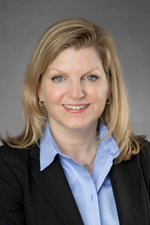 She has served terms on Hinshaw's Management Committee and Executive Committee, and was also Co-Chair of the firm's Consumer Financial Services Practice Group. Maura's background prior to Hinshaw includes advising clients in professional liability, insurance coverage, and securities litigation as an associate at other firms in Boston. In addition to her other accomplishments and activities during law school, Maura was a member of the Boston College International and Comparative Law Review. Obtained a defense verdict for a mortgage servicer client following a jury trial on allegations of breach of contract, negligence and violation of the Massachusetts consumer protection statute arising out of the servicer's purchase of force placed insurance on behalf of the borrower. Obtained judgment in favor of a mortgage servicer client in an Adversary Proceeding before the U.S. Bankruptcy Court where the debtor challenged the mortgage servicer's actions in relation to her modification requests and the mortgage holder's standing to foreclose based on the assignment of mortgage. Serving as the co-Defense Liaison Counsel in the In Mortgage Foreclosure Cases, 11-mc-88-M-LDA consolidated docket pending in the United States District Court for the District of Rhode Island from 2011-2013. Maura successfully argued on behalf of all defendants in the consolidated appeal before the First Circuit Court of Appeals, Fryzel v. Mortg. Elec. Registration Sys., Inc., 719 F.3d 40, 44–46 (1st Cir.2013).